What are your online customers saying about your products and services? What exactly do they like? What do they not like? What do they REALLY not like? When someone hears your company name, what comes to mind? 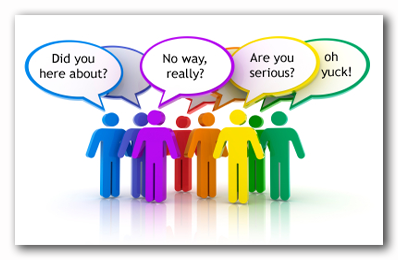 Do these answers differ between your various customer segments? Don’t get caught off-guard by online brand and reputation issues. If you can’t answer these questions with certainty, you need to re-evaluate your brand management strategy and boost your public opinion research. Let’s talk about your brand first. Your brand matters. Odds are you’ve worked hard to build your brand. Your brand represents who your company is and what it stands for. It is how you distinguish yourself from the competition. With your brand, you’re developing a promise to your consumers, expressing the message of this promise and then maintaining that promise. Exclusive Bonus: Download How to Protect Your Brand and Satisfy Your Customers to know why data scraping should be a part of your brand strategy and online reputation management. 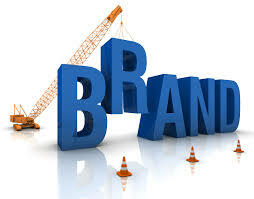 Brand management is the science of crafting and sustaining your brand. It is…. A strong brand management strategy is crucial to maintaining your brand. A mandatory aspect of this strategy is your online brand management and reputation plan. We know, you’ve already dedicated a significant amount of work toward your brand. Unfortunately, this isn’t a one-time task. You don’t send your brand on its merry way and hope for the best. Your brand and reputation require constant monitoring and control. Your online reputation, in particular, needs constant monitoring. The internet and social media along with easy, constant mobile access have created a fickle consumer. We can easily research all of our options with a couple of clicks. Comment sections and review sites add to consumer’s mercurial patterns. User perception and preferences can change in a flash. Negative perception can easily gain momentum, quickly becoming a runaway train you no longer have control over. Vigilant brand and reputation monitoring is essential. It ensures that your strategies are working. This allows you to remain proactive and not reactive. This brings us to our favorite topic: data. To properly manage your brand and best satisfy your customers, you need data. You need to know who your customers are, what they are saying, what issues they are having and what they need. A quarterly data pull just won’t do. Your data needs to be as close to real time as possible. Overwhelmed by the thought of constantly monitoring all your social media and product review sites? This could easily become a resource drain when not efficiently handled. Have no fear! You don’t need to hire an army of interns to stare at all of your sites 24/7. There’s an easy way to monitor your brand online and continue to satisfy customers: web data scraping. Data scraping is a robust and invaluable business practice that your marketing and account management teams should utilize. If you need more information on web data scraping basics, check out this article. Then find out why you should be investing in data scraping and these 16 real-life examples of data scraping for business. 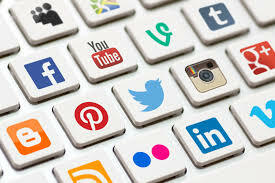 We already mentioned how web data scraping product review and social media sites is one of our favorite ways to gain the edge over your competition. Now, let’s go a bit deeper on how to use data scraping to improve and monitor your brand and better satisfy customers. Expert forums: What are influencers saying about your brand? What are people revealing in the comment sections? Your website and blog comment sections … also, if you use YouTube, there are comments there as well. That is quite the list. Manually checking all these resources, on a consistent basis, is unsustainable and impractical. This is where data scraping comes into play. In essence, web data scraping extracts the unorganized data across the web and orders it into manageable and easily analyzed formats. Whether through a data scraping partner or through your own coding knowledge, a scraping tool algorithm scours all of your targeted sites. The web bots then fetch all data containing references about your brand. It is a quick, easy and painless task. Let’s review various ways you should be using data scraping. You need to be scraping your company’s social media sites. Social media data is invaluable. These sites most likely include Facebook, Twitter, Instagram and LinkedIn. By scraping the comment sections on these platforms, you can look for trends and complaints. Consistent data scraping allows you to immediately address customers’ issues. This is also a great way to uncover positive feedback. Having this data allows you to immediately spotlight these positive comments. Your customers and potential customers aren’t only interacting with the previously mentioned four sites. You should be aggregating textual data from as many social sources as possible. User feedback is an obvious resource for brand and customer satisfaction data. Make sure your web data scraping also includes any site where your products and services can be reviewed: Manta, Yelp, Yellow Pages, TrueLocal and Google Places. Constant access to this data allows you to make quick changes to improve your brand and satisfy customers. Being able to spin on a dime with real-time data gives you the competitive edge. It also allows you to be proactive and cut potential losses. Through careful monitoring of social media channels, Expedia was able to quickly nip growing complaints about a marketing campaign in the bud. 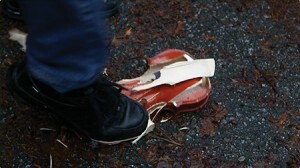 In 2014, they released a commercial that depicted a father being tormented by his daughter’s violin practice. The commercial did not resonate well with audiences and they quickly took to Twitter to complain. Expedia’s lead creative agency, Grip Limited, quickly responded to the feedback by creating “Violin” that was a sequel showing the dad tossing the offending instrument out the door. This alteration had great results, further proving that consistent online brand and reputation management is imperative. Web data scraping ensures you are going above and beyond the competition. Your competition’s customers are also your customers or potential customers. You should be scraping your competition’s sites like your own. By monitoring your competitor’s reviews and social media sites, you determine what they’re not offering and what complaints they’re receiving. You should be capitalizing on this data. Now that you have all of this great data, make sure you do something with it. Don’t find yourself reacting. Proactively scrape your sites to find trends. Scrape demographic data so you can segment trends to better inform your decision making. Set up flags for certain trends. For example, are you seeing an uptick in negative reviews from the 18-24 age group? Is it worse in the southern regions? This knowledge will save you time and money. Keep your competitive edge by monitoring your online reputation and staying ahead of potential downfalls. Maintenance and preventive measures are generally less expensive than trying to repair an online reputational problem after it’s happened. To do this best, we recommend finding a data scraping partner that also provides analytics and brand monitoring services!